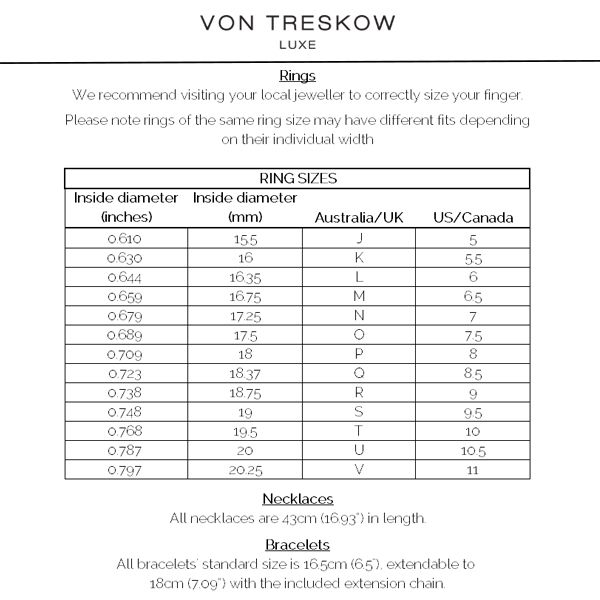 Complete the details below to purchase your Von Treskow Luxe gift voucher. After completing your purchase, you will receive a PDF voucher via email within minutes. Simply print & cut the voucher as instructed. We also offer the option of physical vouchers printed on premium stock, mailed to you or directly to the recipient. If you would like a physical voucher mailed out, select this option at the bottom of the form. Please note vouchers are for use on Von Treskow Luxe’s online store only. Vouchers include a three year expiry from purchase date and are non-refundable.